The Phantom comes across as reasonably balanced but with a warm tone and somewhat fuller notes. As such, it prioritises coherence and midrange note resolution over absolute clarity and micro-detail retrieval. The Phantom’s low-end is enhanced throughout with particular emphasis around upper-bass, filling in its midrange with additional body. The lower-midrange is, by comparison, attenuated just enough to provide separation and prevent congestion. Meanwhile, vocals are slightly forward, the upper-midrange slightly more so. This provides a clear vocal reconstruction that nonetheless avoids any semblance of thinness. Treble is most intriguing and, in turn, polarising. The Phantom gradually climbs to a small lower-treble peak before a sharp fall-off. As such, it has plenty of detail presence and a surprising amount of crispness at times, however, its background is pitch black and sparkle is subdued. This grants the Phantom outstanding foreground/background separation and excellent separation despite its fullness. Treble sparkle has become a characteristic of high-end IEMs, however, the Phantom leans in quite the opposite direction. Though it doesn’t throw every minute nuance in the listener’s face, the Phantom nonetheless manages impressive technical feats and maintains the ability to be listened to for hours on end. This is one of the Phantom’s strengths, delivering superb, almost dynamic-driver like extension in addition to strong control that reins in a lush tuning. Sub-bass is emphasized but controlled, slam is heightened yet rumble is very well-defined. Mid-bass is less present by comparison, preventing over-warming while upper-bass is reasonably enhanced, producing a warm tone and a slightly tubby bass note presentation. Regardless, bass control is very high, enabling strong separation that mitigates bloat in light of the Phantom’s warmth. As such, notes are very punchy and strongly defined. In addition, decay is natural, never sloppy but also the especially fast especially compared to more neutral TOTL earphones that tend to redeem a more fine detail at the cost of quantity. I would consider the Phantom to be one of the most dynamic BA earphones I’ve tested and it certainly impresses with its ability to provide richness while upholding excellent detail retrieval. As such, bloat and muddiness are a non-issue, surprising given its style of tuning, however, certain traits are unavoidable such as slight rounding and tubbiness of bass notes. Still, this is a very impressive performer, not too bassy for home use but full enough to remain engaging on the go. 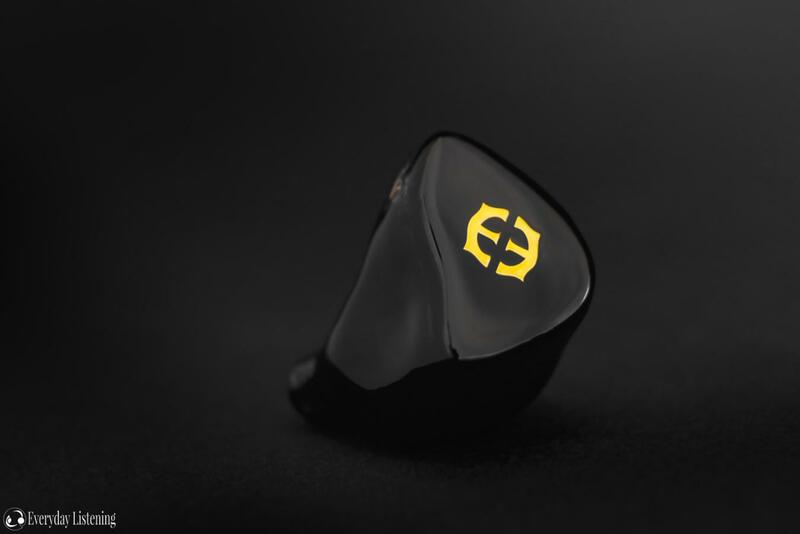 The Phantom suites listeners wanting a TOTL in-ear without compromising bass quantity, catering towards lovers of richness and warmth realised through excellent technical ability. This may be one of the more controversial aspects of the Phantom while simultaneously being its greatest asset; this earphone is smooth and almost redefines perceptions of naturalness, a statement I say with both positive and negative connotations. In direct comparison to other high-end IEMs, and likely most listener’s impression upon first listen, the Phantom can come across as overly full and a little boxy. It takes some time to appreciate the goal Nic, Dean and Jack were trying to achieve. After a brief adjustment and acclimatization to focussing on the midrange as opposed to bass and treble, it becomes clear that the Phantom’s speciality is its very complete notes. To clarify, vocals and instruments are fleshed out and filled with detail, there isn’t a hint of over-articulation, thinness of artificial enhancement. In accordance, timbre is excellent, among the best I’ve encountered, and the Phantom is almost impossibly coherent and natural. Tone is undoubtedly on the warmer side and, in this sense, the Phantom produces an overly homogenous image that is not always faithful to the original recording but instead to what one would experience in a live setting. Still, the Phantom is not over-tuned to the extent that it introduces chestiness, muffle or bass spill, and separation is aided by a touch of lower-midrange attenuation. Meanwhile, vocal presence is slightly bolstered and, as the earphone has a gentle rise in emphasis into the upper-midrange, vocal clarity is spot-on and never presents as either enhanced or veiled. A slight 4-KHz dip aids the Phantom’s velvety note presentation by increasing density and counter-acting the effects of its lower-treble emphasis on articulation. To clarify, I do not consider the Phantom to deliver perfect fidelity but a romanticised image that immerses and engages with its coherence nonetheless. The result is an earphone that has a simply gorgeous vocal reconstruction and an instrument portrayal that is a touch organic and filled with micro-detail and texture. Where many are drawn to the Phantom for its midrange, the high-end pleasantly surprised me over longer listening. Still, the Phantom’s high-end also serves as a vehicle to deliver its delicately structured midrange. However, it is tuned in a manner that greatly aids perception of space in addition to enhancing separation and maximising detail presence; all without compromising the midrange. It does so through a gradual climb to a 6-KHz peak which grants it a surprisingly crisp instrument portrayal with enhanced note attack. However, the Phantom quickly and steeply falls off into the middle-treble, producing an immaculately black background but also a rather dark presentation. Where one would usually associate this with roll-off and a lack of headroom, the Phantom redeems itself through very strong extension into the highest octaves. Upper-treble is also on the darker side and the sparkle and energy characteristic of most TOTL in-ears is not present here. However, the Phantom is not lacking headroom or air due to its extension, instead, its stage becomes more expanded due to the background being substantially laid-back. Meanwhile, its presentation remains crisp and even a touch bright due to that 6-KHz peak that injects energy into its foreground. As treble does fall off, the Phantom is not the most detailed earphone and occasionally, cymbal shimmer can sound a touch truncated. And yet, despite its darkness, that peak enables the Phantom to excel with acoustic with just enough clarity to service pop and jazz too. It does lack aggression and air for rock and doesn’t push micro-detail into the listener’s face. However, given adjustment to its rather mellow, dulcet tones, the Phantom hides ample nuance in plain sight. This is a TOTL earphone that one can listen to all day long and still uncover new details in familiar tracks, trading any semblance of initial wow for a gradual appreciation that develops during longer ownership. With great treble extension and a substantially laid-back background combined with a slightly forward foreground, the Phantom delivers one of the widest soundstages I’ve encountered. On the contrary, it has little depth so vocals are very intimate and tend to stand out amongst instruments. In this sense, despite the Phantom’s warmth and enhanced body, each note is easily discerned by the listener as they are given room to breathe. Still, the lack of depth can affect immersion, especially in comparison to other flagships that provide a more rounded experience. As upper-treble isn’t overly present, imaging doesn’t come across as holographic but it is nonetheless quite accurate with sharp directional cues and a very strong centre image. Placement is very easy to discern and precise from track to track. On the contrary, separation is good but not outstanding. The Phantom is not a congested earphone, but it is quite full and not especially airy up top. As such, despite its stage’s excellent lateral expansion, the Phantom doesn’t sound as separated as other TOTL IEMs with more neutral note body. The Phantom has a very low-impedance and a high-sensitivity, it is one of the most efficient earphones I have on hand. In turn, it is very sensitive to hiss and also quite dependent on a low output impedance in order to deliver its intended sound. As higher output impedance sources usually darken the earphone, and the same effects are observable here, the Phantom is especially source sensitive as it is very much on the darker and warmer side already. Shanling M0: Slightly softer sub-bass. Slightly larger mid-bass, but very punchy and well-controlled. Clear vocals, well-extended and nicely layered, slightly less warm. Treble has enhanced presence, slightly more detail presence but instrumentation can sound a touch thinner. More intimate soundstage but imaging and centre image are solid. Zero hiss. Fiio M7: Slightly softer sub-bass slam, smoothly textured mid-bass slightly warmer and larger but still well-controlled. Well-layered midrange with slightly smaller, less-extended vocals. Well-detailed high-end with neutral detail presence. More intimate soundstage but imaging is sound. No hiss. Fiio M9: Firm sub-bass slam, well-extended. Smoothly textured mid-bass, well-controlled and retains pleasing detail. Vocals are very well-extended and clear, lightly warm and nicely layered. Lower-treble is well-present and highs are nicely detailed. Soundstage has good expansion and imaging is accurate besides the centre image which tends to push slightly to the sides. Very slight hiss. Shozy Alien+: Soft sub-bass with reduced extension. Bass is light but fast. Vocals are brought forward, they remain dense and well-bodied, if slightly less extended. Lower-treble is slightly attenuated, treble instrumentation becomes smoother but still has energy. Substantially narrower presentation with less expansion. Zero hiss. Hiby R6: Softer sub-bass, reduced extension, but bass is more tonally neutral with less warmth. Well defined and fast. Vocals are brought forward, they remain dense and well-bodied, if slightly less extended. Lower-treble is notably attenuated, thin treble instrumentation and slight loss of detail. Narrower presentation with less expansion but imaging remains coherent. Zero hiss. Fiio X7 MKII w/AM3A: Slightly smoother bass texture, a touch warmer. Well-controlled, medium/fast decay. Mids are a touch warmer but also smooth, well-layered. Well-present detail region, great retrieval, slightly more air. Expansive soundstage with accurate imaging. Faint hiss. iBasso DX200 W/AMP5: Extended sub-bass, tight slam and well-controlled, defined mid-bass, fast decay. Very well-layered midrange, nice vocal extension with lightly warm tone. Enhanced detail presence, excellent retrieval. Out of the head stage with accurate imaging. Faint hiss.